Chris Holtmann, head coach of the Butler University men’s basketball team, informed Vice President and Director of Athletics Barry Collier and me late Thursday that he had accepted a position at The Ohio State University. Chris has been a tremendous ambassador for Butler over the past several years. Our team has enjoyed great success on the court, in the classroom, and in the community. Please join me in thanking Chris for his leadership and wishing him, Lori, and Nora continued success as they begin this new endeavor. While this news will disappoint many within our community, we have great days ahead of us—in academics, athletics, and beyond. Our men’s basketball program has enjoyed success at the highest levels for several decades, and I am confident that it will continue to do so. Butler University is committed to supporting a program that will continue to be among the best in the BIG EAST and on a national level. I have great confidence in Barry Collier to identify the next dynamic leader of our program. Butler will hire someone who embodies The Butler Way—someone who will spearhead success on the court, while also leading a program that makes our University proud. Thank you for your continued support of Butler University. We look forward to introducing you to Butler’s next basketball coach soon. "Our men’s basketball program has enjoyed success at the highest levels for several decades, and I am confident that it will continue to do so." Following one of the most successful seasons in program history, Butler and head coach Chris Holtmann have agreed to a contract extension. Holtmann’s deal at Butler now runs through the 2024-25 season, Butler Vice President/Director of Athletics Barry Collier announced on Friday, April 28. Financial terms were not released. Holtmann has led the Bulldogs to a 70-31 record in his three seasons as head coach at Butler, including a 25-9 mark this season. The Bulldogs advanced to the Sweet 16 for the first time since 2011. Butler's 2016-17 season included a 14-5 regular-season record against 12 teams that made the 2017 tournament field. The Bulldogs had non-conference wins over Arizona, Cincinnati, Northwestern, Vanderbilt, Vermont, and Bucknell, in addition to a pair of wins over Villanova. This marked the third consecutive season that Butler has made the NCAA Tournament and won at least one NCAA Tournament game under Holtmann. He joins Roy Williams, John Calipari and Mike Brey as the only active coaches to lead their current teams to NCAA Tournament wins each of their first three seasons. “Butler truly is a special place, and my family and I are thankful to be part of a great academic institution and an athletics department that is a source of pride for those who embrace Butler and The Butler Way,” said Holtmann. “Our student-athletes, our staff, and so many throughout our campus are remarkable at what they do, and I’m excited to continue to work alongside them. Picked to finish sixth in the preseason BIG EAST coaches poll, Butler posted a 12-6 BIG EAST mark to place second in the league standings. Those same BIG EAST coaches selected Holtmann as the conference’s Coach of the Year. Holtmann is the 2016-17 recipient of the John McLendon Award, presented annually by CollegeInsider.com to college basketball's coach of the year. Additionally, for the second time in his three seasons at Butler, Holtmann was named a finalist for the Jim Phelan National Coach of the Year Award. 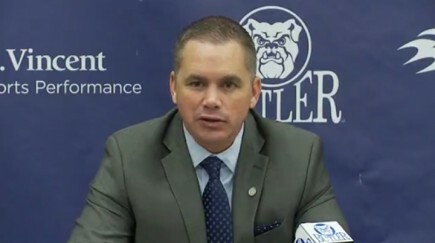 Holtmann was named Butler's 23rd men's basketball head coach in January of 2015, after serving for three months as interim head coach. He guided the 2014-15 Bulldogs to a 23-11 record, and followed that with a 22-11 mark in his second season. Including three seasons as the head coach at Gardner-Webb, Holtmann has 114 career wins. Andrew Chrabascz earned 2016-17 first-team All-BIG EAST honors under Holtmann, while Kelan Martin was selected to the All-BIG EAST second team. Kamar Baldwin was voted on to the BIG EAST’s five-member All-Freshman Team. Martin and Baldwin are among five players expected to return who averaged at least 10 minutes of action per game this season. That group joins the highest-ranked recruiting class in Butler history. Jack Krebs ’63 came to Butler in 1958 with no fanfare. At 6-foot-1 and 155 pounds, he was talented enough to play quarterback at Shelbyville High School, but not big or strong enough to be recruited by Butler. He chose Butler anyway, and walked on to the football, basketball, and track teams. And then this happened: The football teams Krebs played on finished with a combined record of 34-2. The basketball team compiled a winning record every year, and in 1962 made the NCAA tournament. And Krebs made it to two NCAA national track meets, placing eighth in his junior year for the long jump and eighth in his senior year for the triple jump. He may have been unheralded then, but on October 1, when the 1961 men’s track and field team is inducted into the Butler Athletic Hall of Fame, Krebs will become the hall’s first athlete to be inducted five times. Only Tony Hinkle (six) has more. 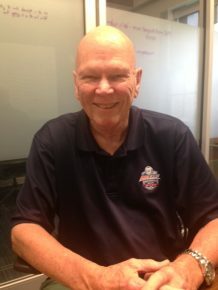 Krebs was inducted into the Hall of Fame as an individual in 1997 and as part of the 1959 and 1961 football teams (both undefeated, and both inducted in 2004) and the 1962 basketball team (inducted in 2007). Krebs memories of those times are all fond ones. He recalled Hinkle coming into the locker room clapping and singing “The Butler War Song.” “He’d get tears in his eyes and everything. Everyone waited for that before they got dressed.” And when Hinkle had time off from coaching baseball, he was down at the track meets in his shorts and baseball cleats. Hinkle called almost everyone “kid” or by the name of their hometown. Some years later, after Hinkle retired, Krebs ran into him at a golf tournament. 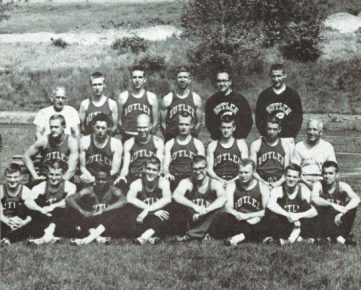 The 1961 men’s track and field team won the Indiana Collegiate Conference championship. Throughout the season, the team set new school records in the pole vault, discus, triple jump, and half-mile relay. The Bulldogs tied for first at the eighth Wabash Relays, which included 10 teams, won a dual meet with Indiana State, and won triangular meets with DePauw and Memphis State, and Indiana Central and St. Joseph’s, respectively. In 1963, Krebs’s 47-foot, one-half-inch leap in the triple jump set a conference record that earned him the Scott Ham Award, which is given annually to the team's outstanding track athlete. Off the field, Krebs studied business and accounting at Butler. 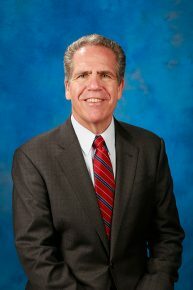 After graduation, he worked for the accounting firm Katz (now Katz, Sapper & Miller) for 10 years doing auditing work, sold clothes at a Roderick St. John’s store for a short time, and then found a home as the accountant for Gene Beltz Shadeland Dodge, where he worked for 37 years till he retired. Krebs and his wife, Betty, who’ve been together for 54 years and married for 40, take every opportunity to visit campus—sometimes with memorable results. 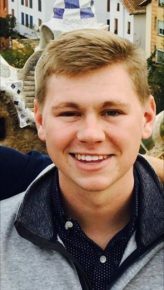 Betty Krebs said that between eighth grade and freshman year of high school, Jack grew 11 inches and lost his hair. He faced unmerciful taunts from fans of opposing teams. People would spit on him at ballgames. They threw water on him and called him baldy. But a few years ago at a Butler basketball game, something special happened. He may have been unheralded then, but on October 1, when the 1961 men’s track and field team is inducted into the Butler Athletic Hall of Fame, Krebs will become the hall’s first athlete to be inducted five times. Butler fans around the country have been rooting for the men’s basketball team this week, but three students had an extra incentive to cheer: Now that the Bulldogs have made it to the Sweet 16, juniors Alex Tison, Claire Cox, and Kaylynn Cline will be flown to Chicago to appear on a new ESPN quiz show called Bracket Genius. The Butler team will play Kentucky, North Carolina, and UCLA on March 26 at 5:30 PM. Bonus round episodes will air Monday, March 27 at 6 p.m. and 6:30 p.m. ET. The final four teams will face off in the Bracket Genius championship episode scheduled to air on Tuesday, April 4 at 7 p.m. The three students—and an alternate, sophomore Corrine Campbell—were chosen after winning a trivia contest and then going through a Skype audition. The producers used the audition to select students who projected personality as well as intelligence. Bracket Genius, hosted by Trey Wingo, will pit university academic teams, consisting of three undergraduate students, against one another in a bracket-style competition for the chance to have their team crowned the inaugural Bracket Genius Champion and share the prize of $100,000. The final 16 universities represented in the NCAA tournament will match up in the same head-to-head games on Bracket Genius, where the winning team advances by answering questions spanning history, geography, politics, literature, science, pop culture, the arts, and sports in a race to score as many points as possible against the clock and their opponent. The opening round matchups are scheduled to air Wednesday, March 22, and Sunday, March 26, at 5:00 PM and 5:30 PM Eastern Time. Each half-hour episode will feature four teams vying for the chance to advance to the Bracket Genius championship episode. Bonus round episodes will air Monday, March 27, at 6:00 PM and 6:30 PM. These half-hour episodes, Bracket Genius: Extra Credit, will give the four championship contenders a chance to win extra cash prizes of up to $25,000 per episode. Now that the Bulldogs have made it to the Sweet 16, juniors Alex Tison, Claire Cox, and Kaylynn Cline will be flown to Chicago to appear on a new ESPN quiz show called Bracket Genius.